Its precursor, Dear New Orleans, became an alternative platform for people to write love notes to their city. Before launching Dear World, Robert noticed that the simple portraits could be a vehicle for shared communication no matter race, religion or language. His work has appeared on the TODAY show, CNN, in the Washington Post and in over 30 countries. Because of his work with his private clients, Robert uses a portion of his revenues to underwrite the project costs of his field projects, which document people with incredible stories to share. 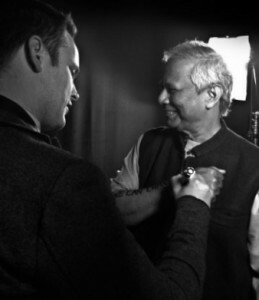 The Nobel Peace Prize Forum is grateful to Robert Fogarty and Dear World for their time and contribution in traveling to India to capture the dreams, stories and voices of the children of Nobel Peace Prize Laureate Kailash Satyarthi’s Bal Ashram. A presentation by Robert Fogarty and curation of his photographs and film will be on display at the 2016 Nobel Peace Prize Forum. Rocky came to the States as a teenager. After graduating from high school he became a student at University of California Riverside. He spent many nights studying (and singing) at a local donut shop, Freshh Donuts. He befriended the baker, Mr. Lee, who was “so moved by Peter’s kindness and voice” that he went out and bought Peter’s very first guitar. 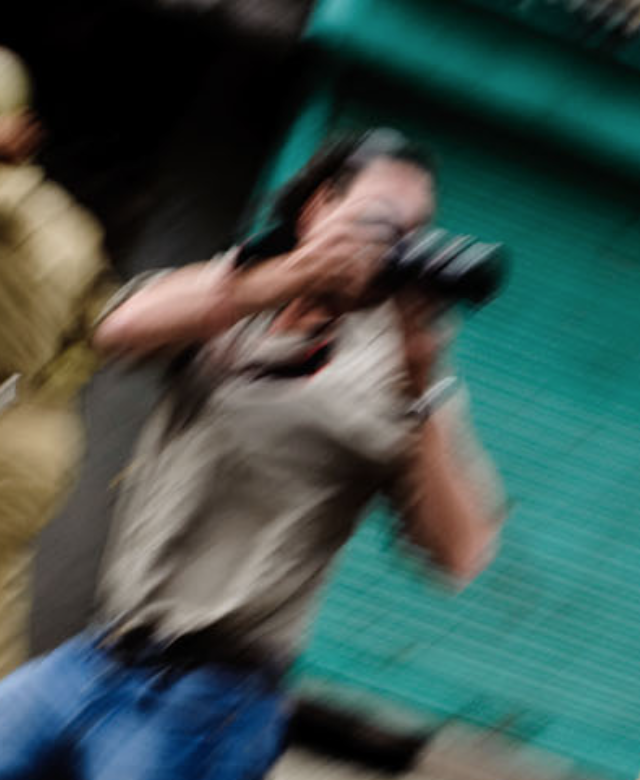 Over the past fifteen years spent documenting some of the world’s most brutal wars Marcus has focused on campaigning against human rights abuses. He has been documenting these issues for Human Rights Watch and he is a contributing photographer for National Geographic Magazine. Over the past three years Marcus has been working in the Central African Republic documenting the conflict in the region. The work from Central African Republic won the Amnesty International Award for Media in 2014 and the prestigious Robert Capa Gold Medal from the Overseas Press Club of America in 2015. Marcus is currently studying for an MSt in International Relations at Cambridge University whilst still documenting human rights issues around the world. He lives in Oslo with his wife Karin Beate. In 2007, David Thoreson and the crew of Cloud Nine became the first American sailors in history to transit the Northwest Passage from the east to the west. In 2009, sailing aboard the scientifically-equipped, Ocean Watch, David became the only American sailor to ever navigate the Northwest Passage in both directions. In June of 2010, David completed the 28,000-mile circumnavigation by sail of the North and South American continents on the 64-foot Ocean Watch. The book One Island, One Ocean about the scientific expedition around the Americas was published by Weldon Owen in San Francisco. 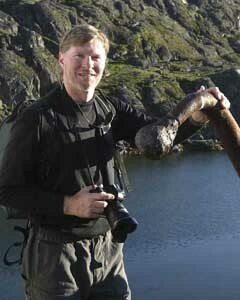 David’s work has appeared across a broad spectrum of media from the National Park Service and Smithsonian to the Wall Street Journal and PBS. David’s photography, along with his new book, Over the Horizon, can be found here; his TED talk “The Accidental Explorer” can be seen here. David Thoreson’s photographs will be on display at the 2016 Nobel Peace Prize Forum, where David will also lead a dialogue session on his travels and work. 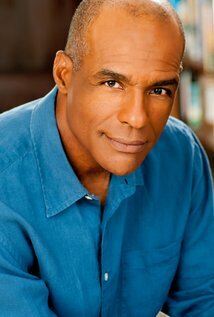 Michael Dorn is an actor and director best known for his role as Lieutenant Commander Worf on Star Trek: The Next Generation (1987) and Star Trek: Deep Space Nine (1993). Dorn made a grand total of 280 “Star Trek” appearances. He appeared in 175 of the 178 episodes of Star Trek: The Next Generation (1987), 100 of the 176 episodes of Star Trek: Deep Space Nine (1993). The 275 episodes of Star Trek he appeared in means he has appeared in more episodes of Sci-Fi Television than any other actor. Dorn voiced numerous animated characters throughout his decades-running career including The Warrior King. The Warrior King was created by Will Meugniot as part of a USA Network crossover stunt in which the character appeared in all four of their then-running animated programs (in order of appearance: Street Fighter: The Animated Series: The Warrior King (1996), The Savage Dragon: Endgame (1996), Mortal Kombat: Defenders of the Realm: Resurrection (1996) and Wing Commander Academy: Recreation (1996)) on the same day, November 16, 1996.